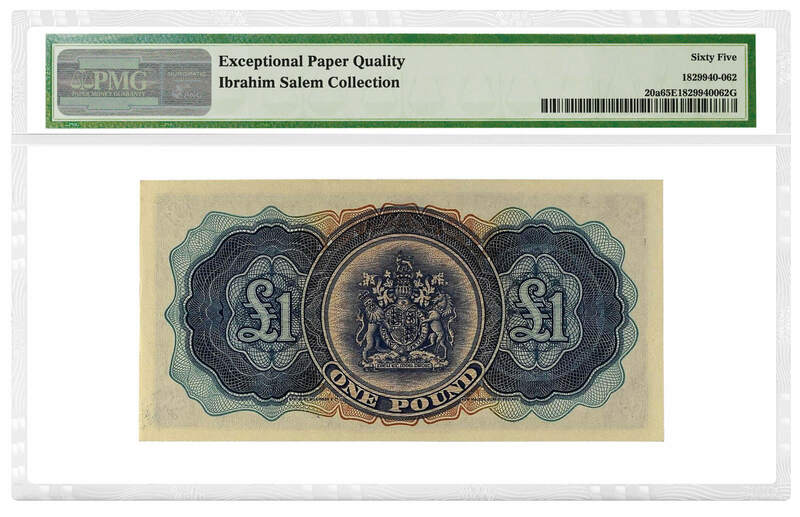 Paper Money Guaranty® (PMG®) has certified over 250 selections from part one of the Ibrahim Salem Collection of British Commonwealth Banknotes. 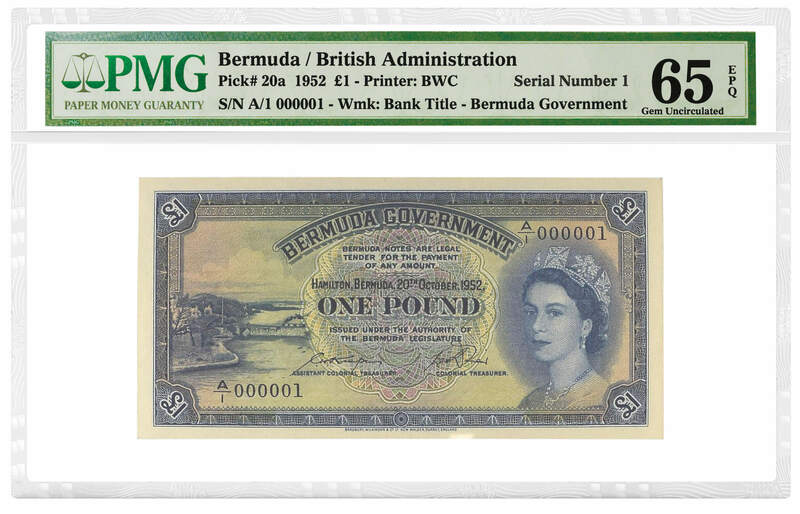 The amazing group includes numerous rare and important issues from current and former territories of the United Kingdom. 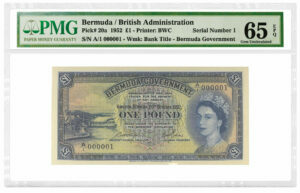 This Bermuda 1952 One Pound note, a Serial Number 1, is graded PMG 65 Gem Uncirculated EPQ. You can find all information on this auction on the Spink website. 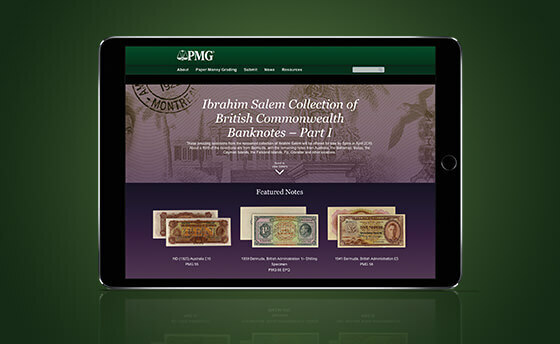 For more information on PMG and their grading services go to the PMG website.